The Isle of Wight Society is looking for entries for their Design and Conservation Awards from members of the public, builders, designers etc. Parish councils & charities nominating entries may be exempt from the entry fee. The entry can be a restoration project, a rebuild, an extension to an existing building of architectural merit, a new build in character with its surroundings or any combination of these. The nominated project can be a new building of any type, or a conversion, extension or alteration to an existing building that aspires to architectural excellence. (ii) must be designed by a qualified Architect or Architect’s practice. The attached nomination form should be accompanied by photographs, before & after completion with drawings of the project and a written explanation/design statement. up, will be given at the Awards Ceremony. The 2018 entry fee is £50 and this gives you two tickets to the Awards evening. Entries from Charities or Parish Councils may be exempt, but in this case only one ticket is provided. Some entries may be eligible for both the Design Category & the Conservation Category – only one fee is required. Each property nominated requires an A1 display panel for the Awards evening. If you can produce your own A1 presentation sheet and have it printed to A1 on good quality paper it must be handed to Colman Cotter, Modh Design, The Studio, 82 Bellevue Road, Cowes by 30th April 2018. The prints will then be mounted on the boards supplied by the organisers. A Photoshop template for the board is available for your architects. If you just need the sheet printing, then this can be done for £12. See PDF for email address. If you are not able to produce your own display board we will design and print your A1 board for £25, payable in addition to the entry fee. Any queries please call Colman Cotter on 07732 312117. Judging will take place in March. Plans and photographs will be returned to you after the Awards Presentation Evening on 18th May, 2018 at the Royal Yacht Squadron, Cowes. PLEASE NOTE: If your computer won't save your completed form then choose File - Print and select Microsoft print to pdf to save a copy including your text as a PDF. 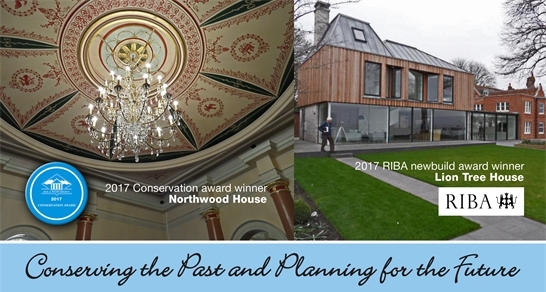 The Treasurer, IW Design & Conservation Awards East Cowes Heritage Centre, 8 Clarence Road East Cowes, Isle of Wight, PO32 6EP. The closing date for entries is 14th February 2018. Judging will take place in March 2018. The Award Ceremony and presentations will be at the Royal Yacht Squadron, Cowes on the evening of 18th May 2018.